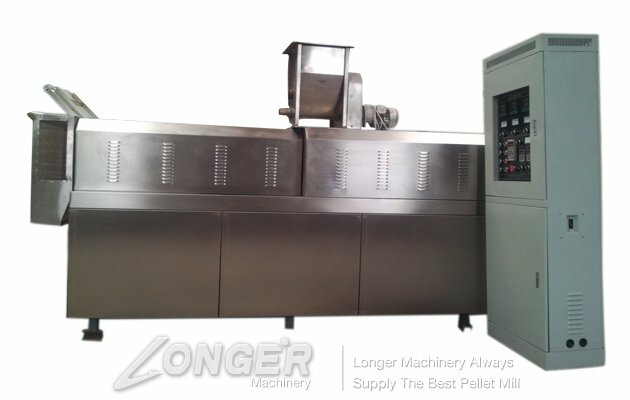 This Animal Feed Pellet Machine can make feed for dog, cat, fish, etc. 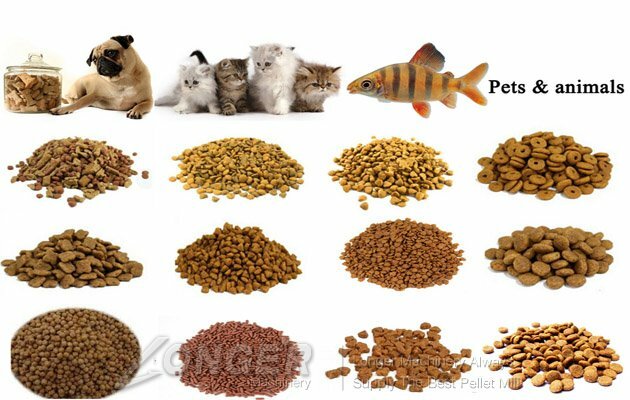 There are many kinds shapes for dog and cat such as : round, triangle, square, heart-shaped, bone-shaped, fish-shaped,etc. It just need to be change moulds to make different shapes. 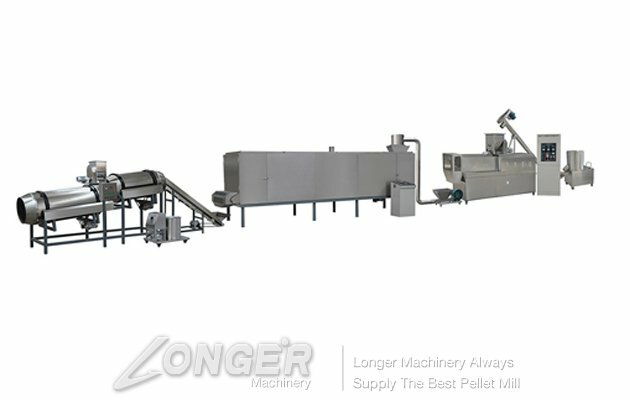 This processing line can producepet food in different shapes, Such as: Round Ball Shape, bone Shape, Small Animals shape,etc. 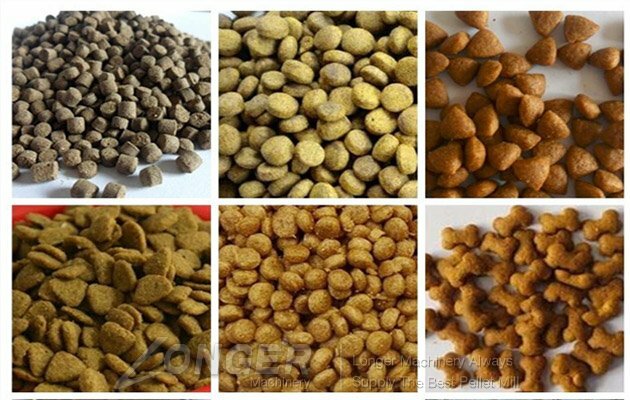 Rice powder, Corn powder or bone powder, fish powder, chicken oil ,etc. 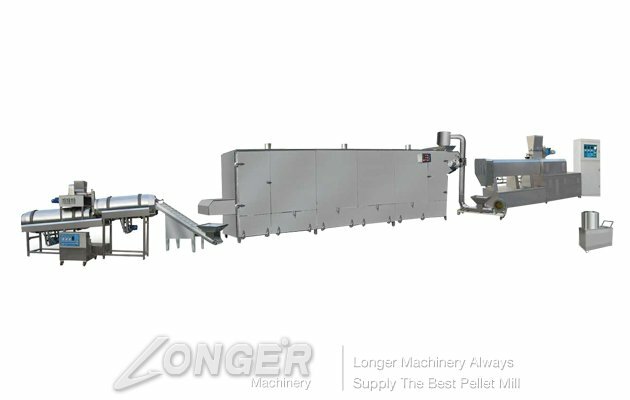 a.This machine is consisting of feeding system, extruding system, cutting system, heating system and controlling system. 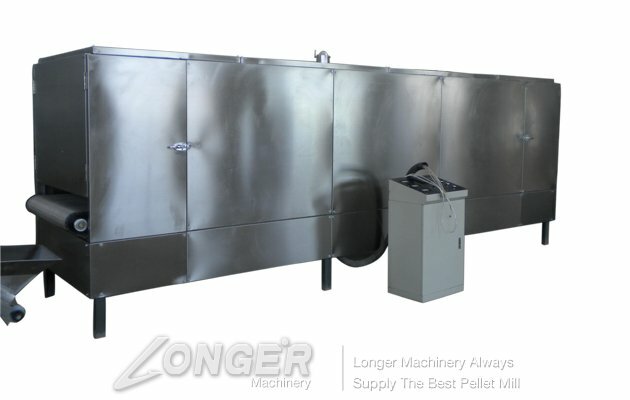 b.It can process various materials, frequency speed-controlling, high automation, stable performation, long life.